Watch Naruto Shippuden Movie 4: The Lost Tower online English dubbed free with HQ / high quailty. Stream movie Naruto Shippuden Movie 4: The Lost Tower English version. Assigned on a mission to capture Mukade, a missing-nin, Naruto Uzumaki sets out for the once glorious historic ruins of “Ouran”, where he pursues and corners the rogue ninja. 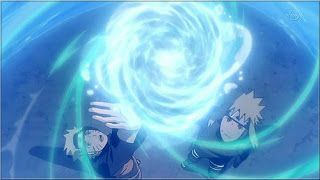 Mukade’s goal is revealed to be a dormant leyline within the ruins; he unleashes the power of the leyline, causing a light to envelop Naruto, sending him into the past, 20 years before the series began. When Naruto awakens, he comes into contact with the Fourth Hokage, His father, Minato Namikaze.